Last Sunday, while we were in a wedding, my mom handed #babyMartinez a huge red pouch. 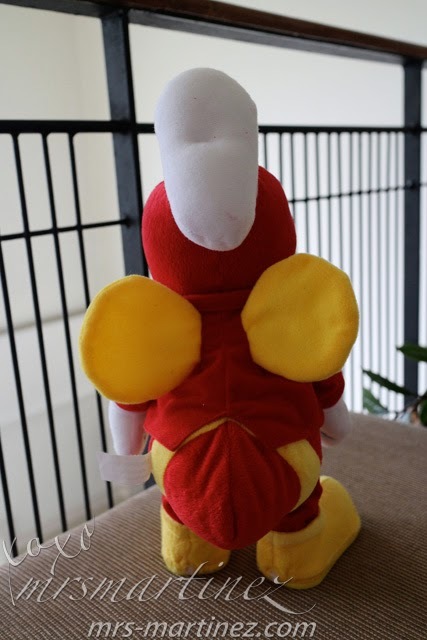 Guess what is inside?! 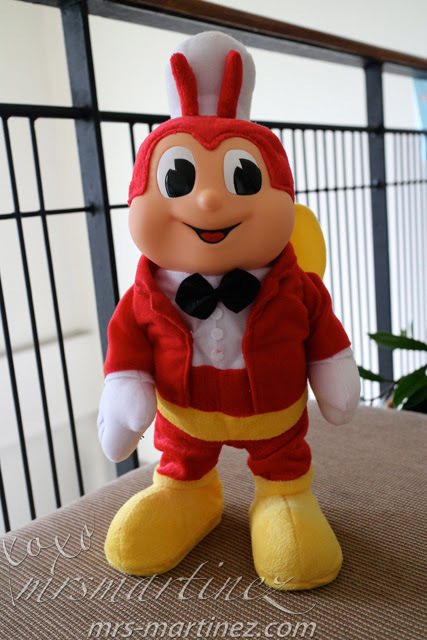 A Jollibee Dancing Doll! I'm Jolibee your jolly, friendly Jollibee"
You can move Jollibee's arm for different poses. 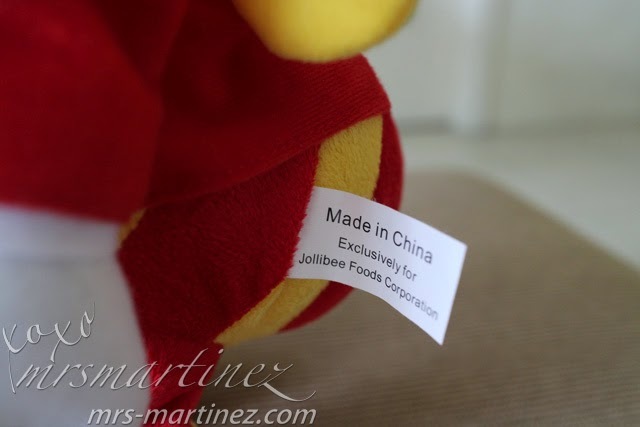 I know my mom searched everywhere for Jollibee Dancing Doll. She was able to buy one in E.Rodriguez cor Victoria Ave. Thank you, gwama! 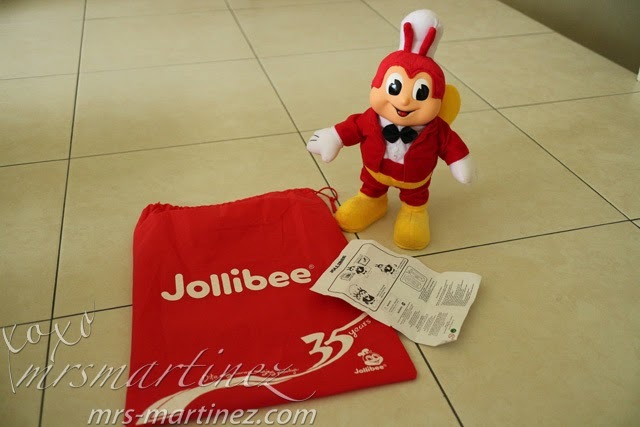 You can buy Jollibee Dancing Doll with any Jollibee food or drink purchase for only PhP 399! 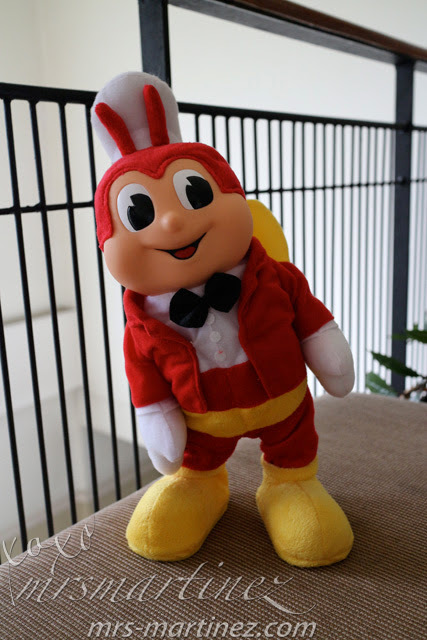 Available until December 31, 2013.